ilmkiweb is the leading educational website of Pakistan serving for the most effective of students. It’s facilitating student with all quite knowledge concerning all level of education. Here you can find results 2019 of all educational boards of Punjab, Sindh, Khyber Pakhtunkhwa and Baluchistan. Results 2019 of all Colleges / Universities and Technical Boards are given here. Moreover, ilmkiweb additionally uploads the results 2019 of various kinds of tests i.e. Entry tests results 2019 and Competitive Exams Results 2019. 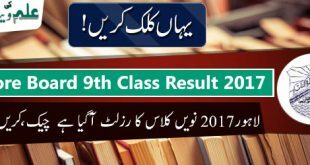 Gilgit baltistan bord karakoram class 5th 2017 result.